Zalmi's Blog: It's the voters, stupid ! 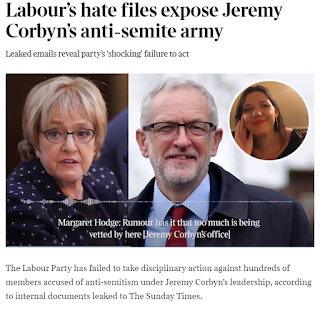 The Sunday Times revelations about the cover-up and tolerance of anti-Semites in Corbyn's Labour Party should come as no surprise to anyone in Britain, least of all its tiny Jewish community of some 220,000 souls. 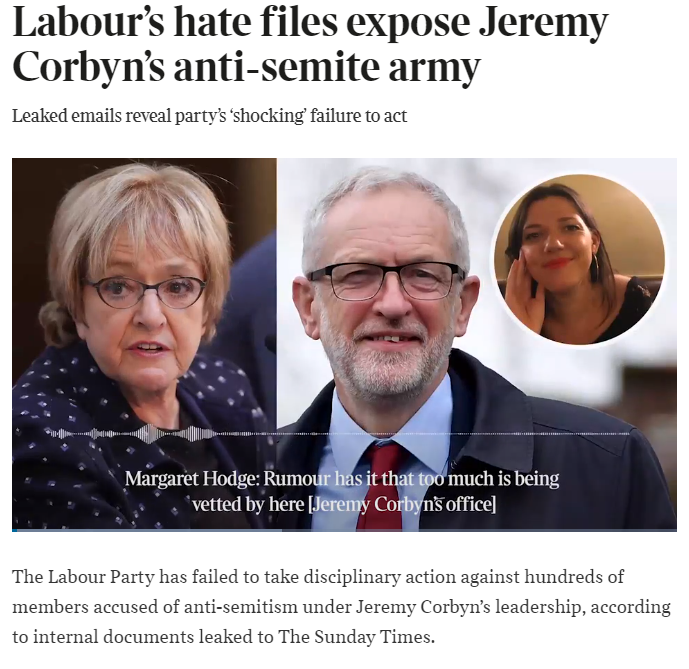 For over a year there's hardly been a week in which some ugly story of Jew-hating or Jew-baiting hasn't been reported in the press. Nobody can be in any doubt about what is going in Labour. Jews have seen the likes of Corbyn come and go in every generation and we will be expressing that very truism two weeks from now at our Seder tables. But we British Jews need to zoom out and take in the bigger picture - the much more worrying picture. That is the bitter reality that this toxic party and its hateful and discredited leader is still consistently ranking level with the Conservatives in current election polling. 4 of the 6 most recent polls had them tied or within the margin of error. The Daily Mail's Deltapoll at the end of last month gave Corbyn's party a lead of 5 percent ! This should tell us a lot more about the great British public than it tells us about Corbyn & Co. So, when we do sit down to Seder this year, there will hopefully be more meaning to 'Next Year in Jerusalem'.